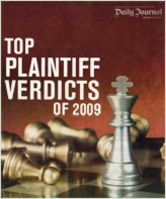 New York, NY (PRWEB) July 9, 2010 -- A Rochester man who was seriously injured in an automobile accident has been awarded a $3.8 million verdict by a Monroe County jury. Attorneys from the New York law firm of Cellino & Barnes secured the verdict for the plaintiff in the case, Kelvin Seawright v. Omar Crooks and Joe Rambo (Index No. 06/88270), which was tried in Monroe County Civil Court before Judge Ann Marie Taddeo. The plaintiff, who was 39 years old on the date of the accident, earned his living as a forklift operator with a temporary agency, where he was paid $10.00 per hour. On November 17, 2003, he was a front seat restrained passenger when a car operated by Omar Crooks and owned by Joe Rambo, Jr. struck the back of a stopped SUV on Genesee Street in Rochester. Driver inattention was to blame. The plaintiff was ultimately diagnosed as having suffered a cervical sprain and later, after having an MRI, it was revealed that he suffered a small annular tear and disc herniation. The plaintiff received 149 chiropractic visits in three years, but was unable to complete treatment because his benefits were terminated. He ultimately returned to work on his own in 2008 as a security guard and was restricted to performing sedentary and light duty work. 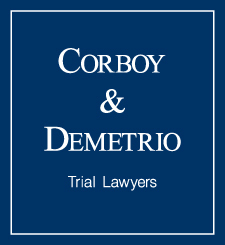 "We are very gratified that the jurors carefully reviewed the evidence presented at the four-day trial and returned a verdict that we feel justly compensates our client for the medical bills and lost income he suffered as a result of the driver's negligence," said Richard P. Amico, an experienced trial attorney at Cellino & Barnes, one of the nation's largest personal injury law firms. According to Amico's co-counsel, Timothy Hedges, the plaintiff was awarded $750,000 for past pain and suffering, $85,000 for past wages from 2003 to 2008, and $3,000,000 in future pain and suffering over the next 30.9 years. Amico and Hedges were offered $15,000 to settle the claim after the close of evidence, but were confident that the jury would deliver justice to their client. Cellino & Barnes is a New York personal injury law firm, with offices in Buffalo, Rochester, Melville, Garden City (Long Island) and Manhattan, New York. Cellino & Barnes focuses strictly on personal injury cases, including auto accidents, medical malpractice, construction accidents, premises liability and more. For more information about Cellino & Barnes, please go to www.cellinoandbarnes.com or call 800.621.2020. Tonight, Fox News will be running a show hosted by John Stossel where he will talk about the “trouble with trial lawyers.” Cindy Speaker, founder of StateLawTV, saw a clip of the show earlier today and said that she was outraged. Either your research is being funded by some of these big insurance companies and corporations or I think you just did some pretty lousy research that lacks a balanced view. (Vocus/PRWEB ) July 8, 2010 -- Tonight, Fox News will be running a show hosted by John Stossel where he will talk about the “trouble with trial lawyers.” Cindy Speaker, founder of StateLawTV, saw a clip of the show earlier today and said that she was outraged. Speaker did concur that there are some sleazy lawyers out there. She does not dispute that. However, Speaker believes that every industry has their fair share of sleaze. Speaker believes that many lawyers are unsung heroes and she respectfully asks that Mr. Stossel stop giving unbalanced reports about lawyers. She states, “It’s just not fair and I believe it sometimes keeps victims from getting the help and justice that only a lawyer can get them." 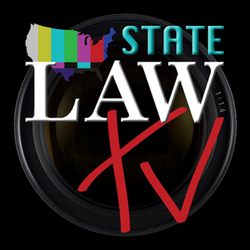 Cindy Speaker is the founder of StateLawTV. She is both a legal marketer and an advocate for empowering consumers with legal education and resources. "Access to capital is a major pain point for our members and the small business Main Street community. We believe this pilot program is a step in the right direction to help fuel small business growth and create jobs to stimulate our economy. Bentonville, AR (PRWEB) July 8, 2010 -- Existing small business owners and entrepreneurs with hopes of starting up continue to seek access to capital in the form of bank loans, yet are still struggling to land credit. Only half of small businesses that tried to borrow last year got all or most of what they needed, according to a survey by the National Federation of Independent Business. In the mid-2000s, 90% of businesses said they got the loans they needed. In a November 2009 state of small business survey conducted by Sam's Club, nearly 15 percent of its business members reported being denied a loan to run their operation, up from 12 percent in April 2009. The Sam's Club small business loan pilot program is a first-of-its-kind and will complement other offerings that cater to small business including low rate merchant credit card processing, convenient order-ahead programs and early shopping hours. The Sam's Club small business loan pilot will focus on serving Main Street minority, women and Veteran owned small business owners as well as micro-entrepreneurs under the SBA's Premier Outreach Express products such as Community Express, Patriot Express and Export Express loans. "All Lenders are trying to make an impact on Main Street, which includes minorities, women and veterans to help create jobs. Main Street however remains the most difficult underserved market to reach, said Tim Jochner, CEO Superior Financial Group. "Sam's Club together with SBA's premier outreach express loan programs provide both a unique and powerful opportunity to reach and provide capital along with technical assistance and training to increase successful penetration into this underserved space." While the majority of the Sam's Club small business loan pilot program is to be delivered online, Sam's Club will test some in club communication and other marketing efforts to reach business members and small business owners. For more information visit samsclub.com and click on the services tab. Sam's Club is a division of Wal-Mart Stores, Inc., (NYSE: WMT). The first Sam's Club opened its doors in Midwest City, Okla., in 1983. Today, Sam's Club serves more than 47 million U.S. Members with locations nationwide, as well as in Brazil, China, Mexico and Puerto Rico. Sam's Club saves its members on average 30.4 percent over grocery and specialty retailers by offering superior values on quality merchandise and services for home or work. 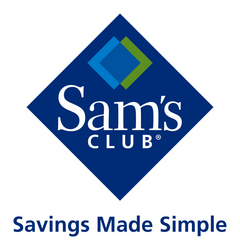 Saving is made simple at Sam's Club. Visit samsclub.com for more information. Superior Financial Group was founded in 2005 to provide access to capital for Underserved Businesses utilizing SBA express products. One of only 13 federally licensed non bank lenders SBLC allows SFG to focus on innovation and technology to provide unmatched speed and efficiency in the Financial Industry. SFG is the #1 SBA lender in total number of loans and in six of the Minority owned business groups SBA tracks. Haynes and Boone, LLP has become the first Texas law firm to be awarded Leadership in Energy and Environmental Design® (LEED) Gold certification for commercial interior design by the U.S. Green Building Council. The One Victory Park office is also one of only a handful of law firms nationally to achieve the Gold interior designation. Dallas, TX (Vocus/PRWEB ) July 8, 2010 -- Haynes and Boone, LLP has become the first Texas law firm to be awarded Leadership in Energy and Environmental Design® (LEED) Gold certification for commercial interior design by the U.S. Green Building Council. The One Victory Park office is also one of only a handful of law firms nationally to achieve the Gold interior designation. Receiving LEED Gold recognition is a rewarding benefit to creating a healthy and sustainable work space. LEED is regarded as the preeminent program for rating the design, construction and operation of green buildings. Its rating systems are prerequisites and credits designed to measure performance in the areas of sustainable site development, water savings, energy efficiency, materials selection and indoor environmental quality. Hillwood had already positioned One Victory Park for LEED Silver certification for the “core and shell,” a major boost in the point-accumulation process at the heart of Haynes and Boone’s Gold ambitions. Selection of Gensler as interior architect was also key. Gensler’s early involvement allowed an interior architectural team to educate the firm’s planning and design committees on the benefits of conforming to as many LEED requirements as reasonably possible. Specific green features and initiatives of the Haynes and Boone office include: 15 percent reduction in lighting power density; 30 percent reduction in indoor potable water use; 90 percent of eligible office equipment is ENERGY STAR qualified; use of materials with 20 percent recycled content; use of low-emitting materials, paints, adhesives and sealants; and 50 percent diversion of construction waste materials. Gensler designed the interior spaces and managed the LEED certification process. One Victory Park is located in Uptown Dallas, between downtown Dallas and the Turtle Creek area and immediately adjacent to the American Airlines Center and the W Hotel. Hines manages and leases the property and owns it in a joint venture with affiliates of Estein & Associates USA, Ltd.
Hines is a privately owned real estate firm involved in real estate investment, development and property management worldwide. The firm’s historical and current portfolio of projects that are underway, completed, acquired and managed for third parties includes 1,111 properties representing more than 451 million square feet of office, residential, mixed-use, industrial, hotel, medical and sports facilities, as well as large, master-planned communities and land developments. Hines has offices in more than 100 cities in 17 countries and controls assets valued at approximately $22.2 billion. Visit www.hines.com for more information. To learn more about sustainability at Hines, visit www.hines.com/sustainability. Wombat Security Technologies' has released version 2.0 of its world acclaimed Anti-Phishing Phil online training game with updated graphics and content, as well as the ability for security professionals to track the performance of their users. Pittsburgh, PA (PRWEB) July 8, 2010 -- Today Wombat Security Technologies announced it has released version 2.0 of its world acclaimed Anti-Phishing Phil online training game. Anti-Phishing Phil teaches employees and customers of an organization how to recognize fraudulent websites. The highly effective game has been featured in prestigious scientific publications such as Scientific American and has been licensed for use by millions of users around the world. To play a short demo of the training game, visit Wombat Security Technologies’ website at http://wombatsecurity.com/antiphishing_phil/index.html. With release 2.0 of the game, Wombat has updated some of the content to reflect new trends such as the significant increase of phishing attacks taking place through social networks. The new version, which comprises a total of four rounds, also features updated graphics and enhanced reporting functionality for security professionals to track the performance of their users. Anti-Phishing Phil 2.0 is SCORM compliant, making it easy to deploy in an organization’s Learning Management System (LMS) environment, and also includes a 508 compliant version. The ability of subjects who had played the game to distinguish legitimate URLs from fraudulent ones improved nearly twice as much as that of those trained with standard materials. 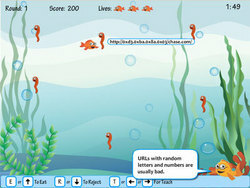 Anti-Phishing Phil is an engaging online game that teaches people how to avoid falling for phishing attacks by training them to identify fraudulent URLs. Phil is a fun fish character that swims through the ocean searching for worms affixed with URLs. Users learn to analyze URLs and determine whether they are fraudulent or not. Anti-Phishing Phil has been licensed to both private sector and government organizations and is one of several highly effective anti-phishing training solutions commercialized by Wombat Security Technologies today. With millions of users across North America, Europe, and Asia, Wombat Security Technologies is a global leader in cyber security awareness training and also offers unique anti-phishing filtering solutions. Wombat’s products have been licensed for use in sectors as diverse as finance, government, and healthcare to name just a few.